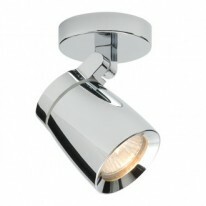 Becoming more popular and found in all designer house are bathroom wall lighting. These fitting are usually located adjacent to a mirror either across the top or on either side. They provide both, a large brightness only found with having wall lights and a touch of elegance; adding a new class to your room. A number of our range come with a power point (charging port), so you can shave and charge simultaneously or brush and charge simultaneously. Our range is suited for all bathrooms, this includes home or business use. Contact us if you need any help with choosing the prefect one for you.